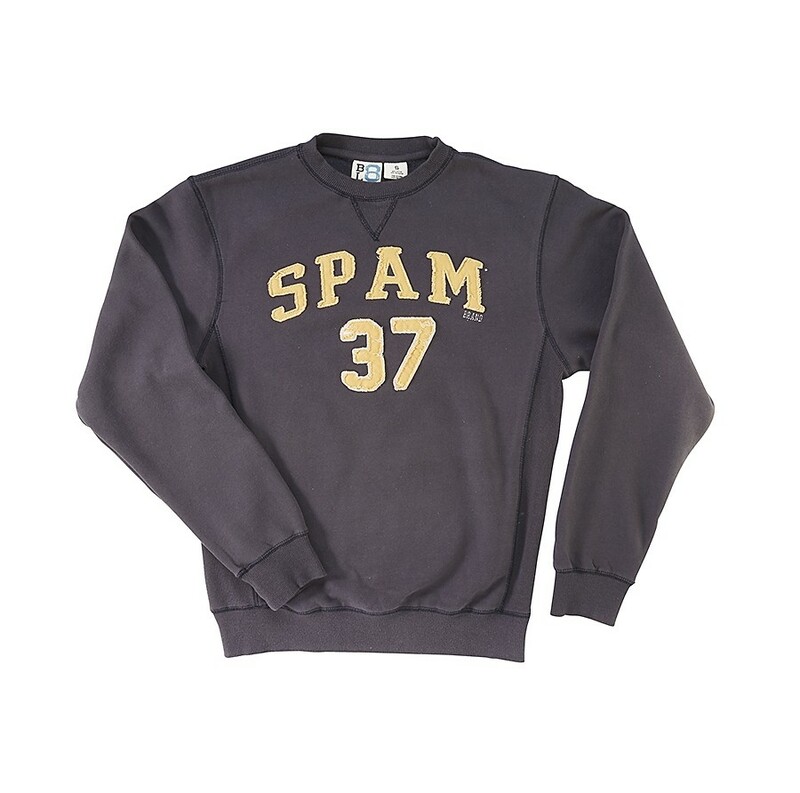 Sanded navy fleece sweatshirt with warn gold/cream felt embroidery SPAM® Brand 37 logo on front. High quality crew neck sweatshirt with side gussets. Adult sizes S-XXL.